If you’re still putting the idea of creating your own local event on the back burner, then you might really want to reconsider it this time. 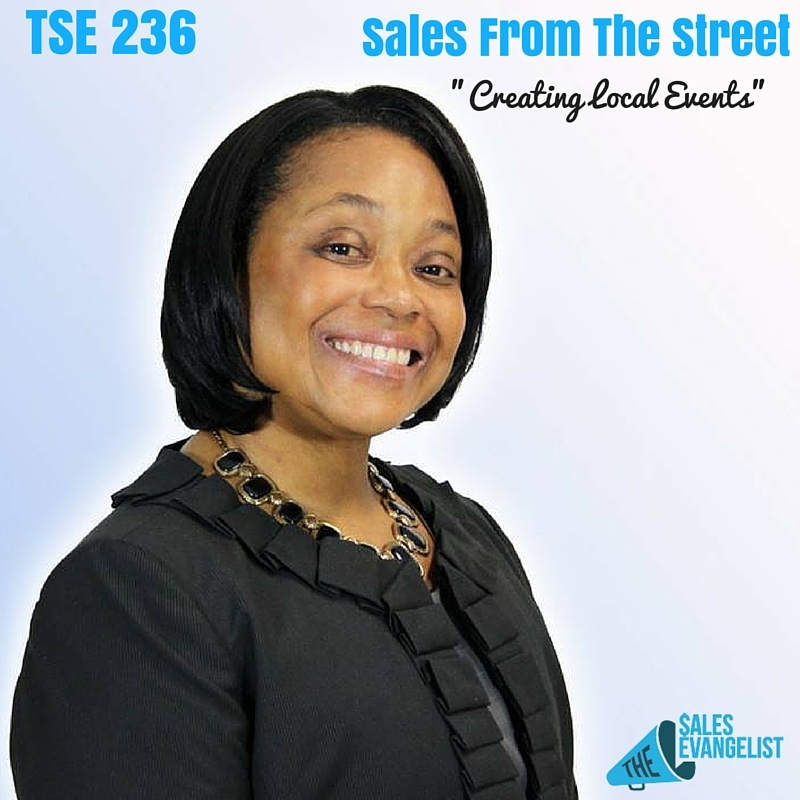 With 10 years of experience and currently holding a leadership position with Toastmasters International, Cynthia helps small and large businesses with their marketing, social media, PR, and digital marketing. Her corporate background working as an associate product manager has also allowed her to gain a better understanding on marketing and the challenges different businesses have. In today’s Sales from the Street episode, PR and marketing consultant Cynthia Beckles emphasizes on the power of putting on local events and how you can create a memorable event on a budget. Events speak for you. It is your branding opportunity. It is more interesting and it presents more opportunity for PR. One of the major challenges Cynthia has faced in terms of putting on events is finding an affordable venue. Trade out with a restaurant or negotiate a good room rate. Pre-plan at least 3 to 4 months to make sure that you get the right venue. Have a clear message of what your event is. Be flexible. Give the schedule to the participants ahead of time. Do a little dry run of the event. Look for places that are free but where you can negotiate a good price for the food. Make use of good PR and marketing so you can meet their minimum quota. Remember that they’re also getting PR. You’re not just renting the room, but you’re also doing PR for them. You are their brand ambassador for the period of time. Get people to invest in your event. Keep an element of surprise for it to become memorable. Always have your next event or concept that you can announce at the event. No event is perfect but do your best to staff people in setting up. Have your PR in place at least a month ahead of time. Don’t just assume it’s a local event. Don’t just think locally but think about an entire area as they may also come to your event. Try to make it affordable for people to come. Have a good reputation with speakers. Negotiate a nice room and give first class treatment. Let them know they’re special and that you appreciate their time. Relationships are very important. Let them know how much of a difference they’ve made to your organization.